This semester, some Peek in the Stacks blog posts will be authored by CSUN students who work in Special Collections and Archives in the Oviatt Library. This week's post was written by Bernardo Marcondes Rodrigues, a student assistant in the International Guitar Research Archives, who will complete a Master of Music in Classical Guitar Performance in December 2013. 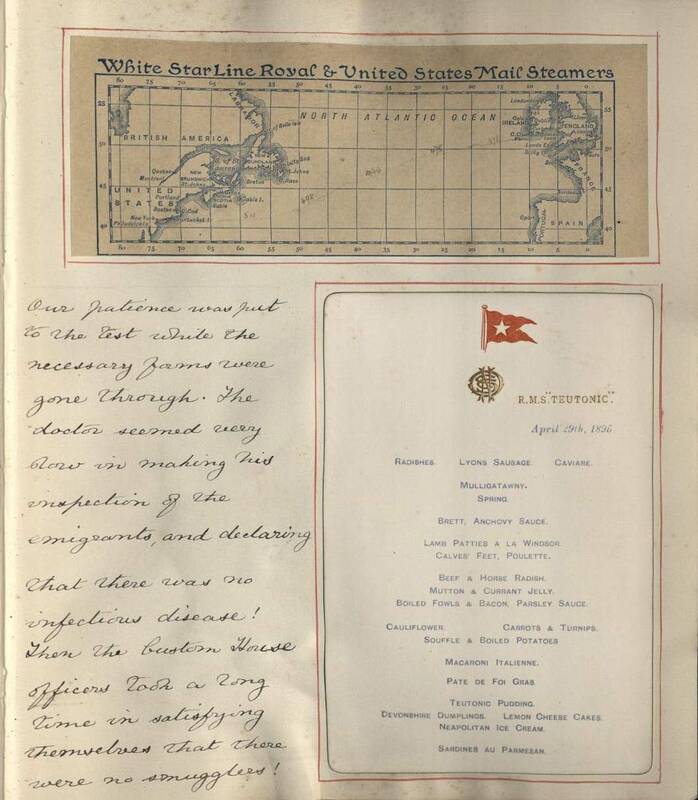 Special Collections and Archives holds many unique and interesting diaries which chronicle the adventures of travelers from all over the world. 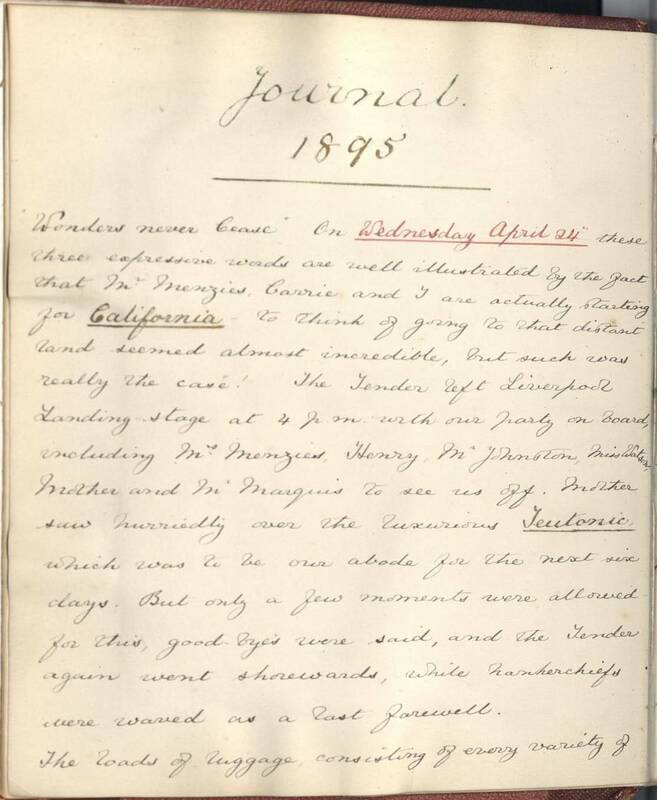 One of these, Journal of a Trip from Liverpool to San Francisco, was penned by a young Englishwoman visiting the United States for the first time in 1895. 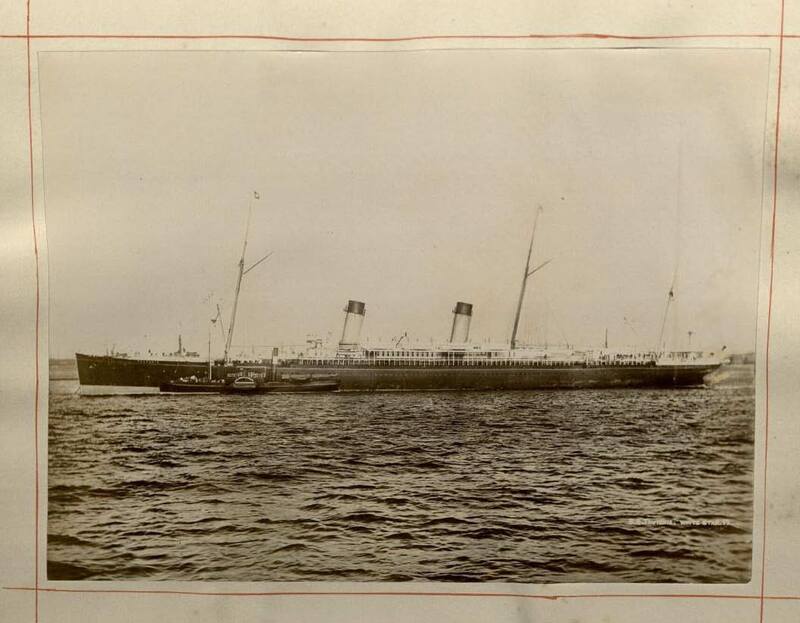 The journal chronicles her trip from April to June of that year, beginning with a trip across the sea on the "luxurious" S.S Teutonic. 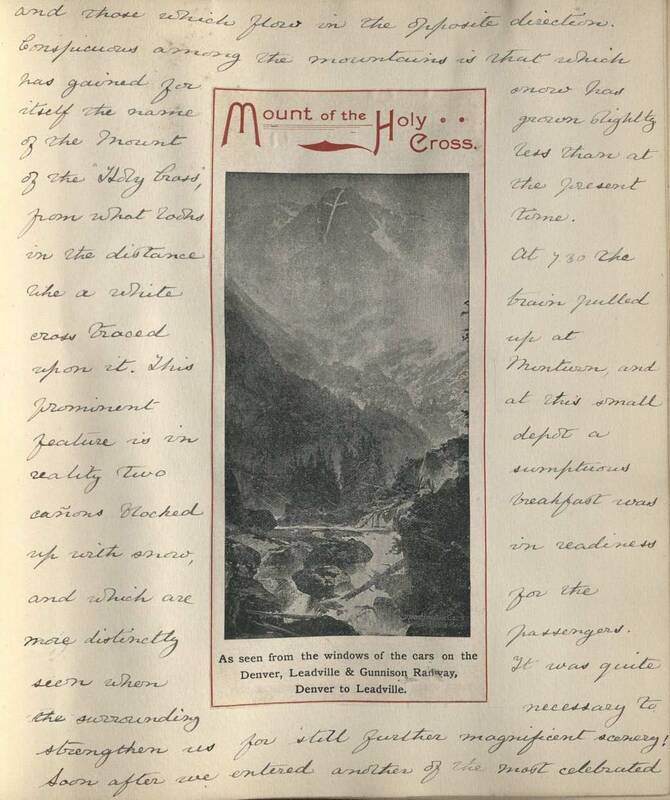 Though she never provides her own name, the young woman was accompanied on the trip by her friend, Carrie, and her travel diary provides a glimpse into the life of upper-class Englishwomen in the late 19th century. Whether reading about how the author and her friend travelled, noting what subjects she chose to comment on, or even her choice of language, one is struck by how much some things have changed, and how little other things have. Though more than a century has passed since this journal was written, some of the author's interests are very similar to those of young people today. When describing her cabin she wrote, "Carrie and I had the best one in the ship, being in the centre next to the dancing salon and having two port-holes." For these young ladies, being in close proximity to the dancing salon held the potential for great adventures and entertainment. Looking out the port holes, they witnessed exciting new worlds, the unbridled power of the stormy seas and even a polar bear sitting atop a floating iceberg. Also interesting is how similar her sightseeing is to modern sightseeing. In New York she visited Central Park, Broadway, and Grand Central Station where she and Carrie took a "luxurious" Pullman car to Boston. 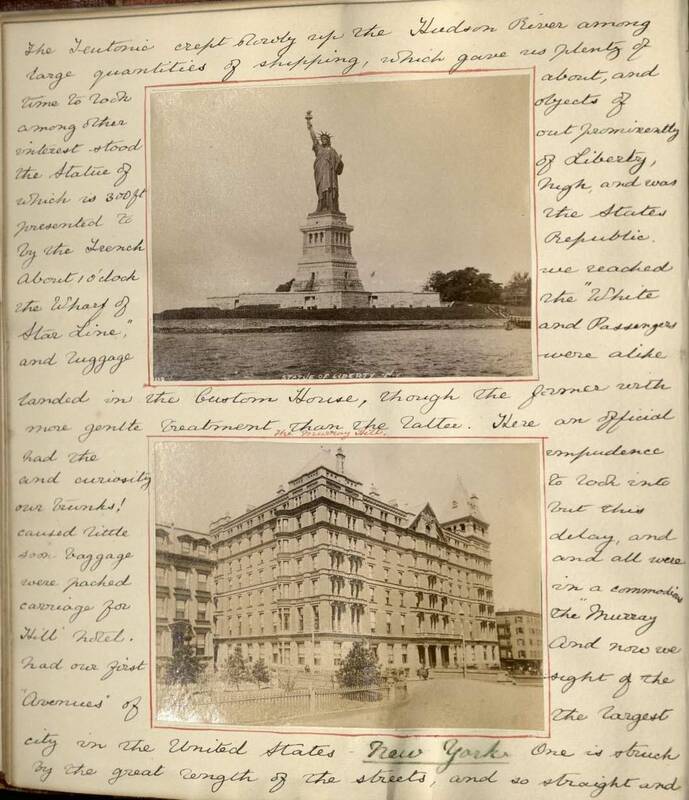 While in Boston she wrote "There were many little American customs especially, at the meals to learn," highlighting some cultural differences at the time. In Chicago they spent part of their day "patronizing" the Siegel Cooper department store, the largest in the world at the time. 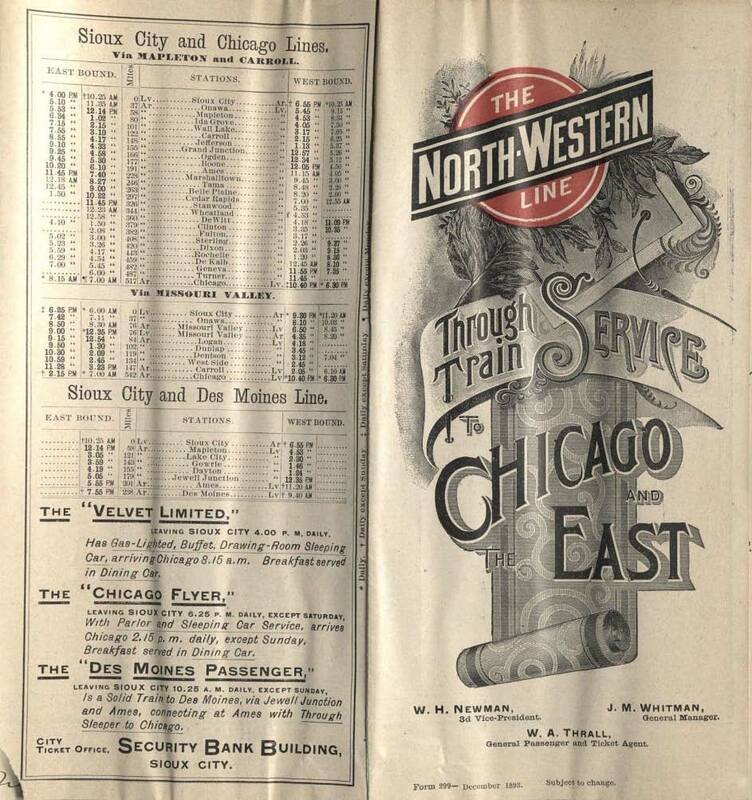 In Chicago, they boarded a train they rode west across the United States. 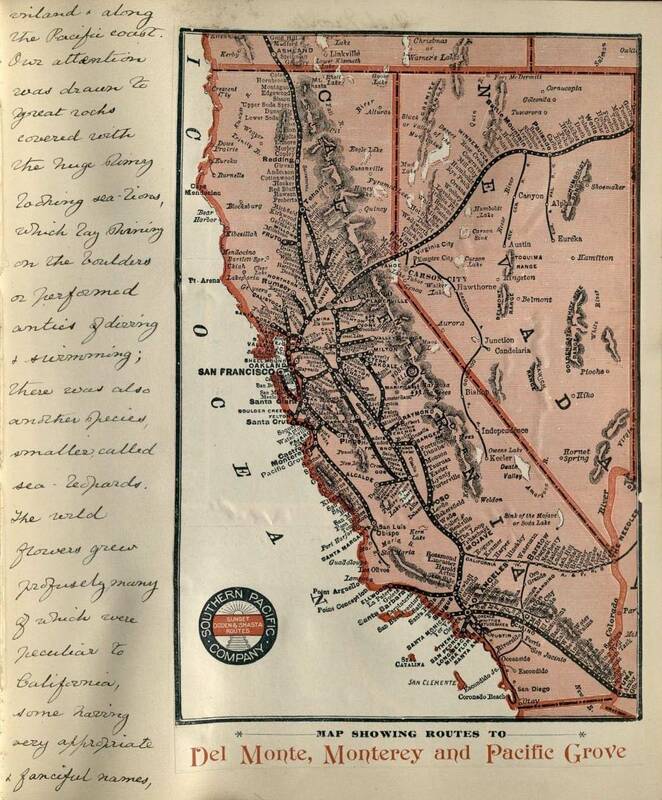 The author wrote many entries while traveling from Chicago to San Francisco. While some of the place names are familiar to modern readers, others have long since disappeared. While travelling through Iowa, she is amazed by the farmers' ability to grow corn. She believes it is the "high standard of knowledge" the American farmer possesses that makes him outstandingly better than his English counterpart. In other ways, the young woman's observations seem much like our modern views. When entering the state of Colorado, she writes, "The fertile regions of the previous day were exchanged for nature revealed in all her glory in the Rockies." As the two girls made their way into Utah and Salt Lake City, the author mentioned the fact that Utah, not yet recognized as a state, had just been added to the Union. In Nevada, she had her first encounter with Native Americans, writing, "For the first time we saw the native Indian at the small villages at which the train sometimes drew up." Many of her comments about Native Americans are indicative of negative stereotypes commonly held in the late 19th century, and would be considered very politically incorrect today. These comments serve as an historic example of the ideas and widespread ignorance that carries forward into on-going racial debates in the US today. Arrival in California brought much happiness to both girls. 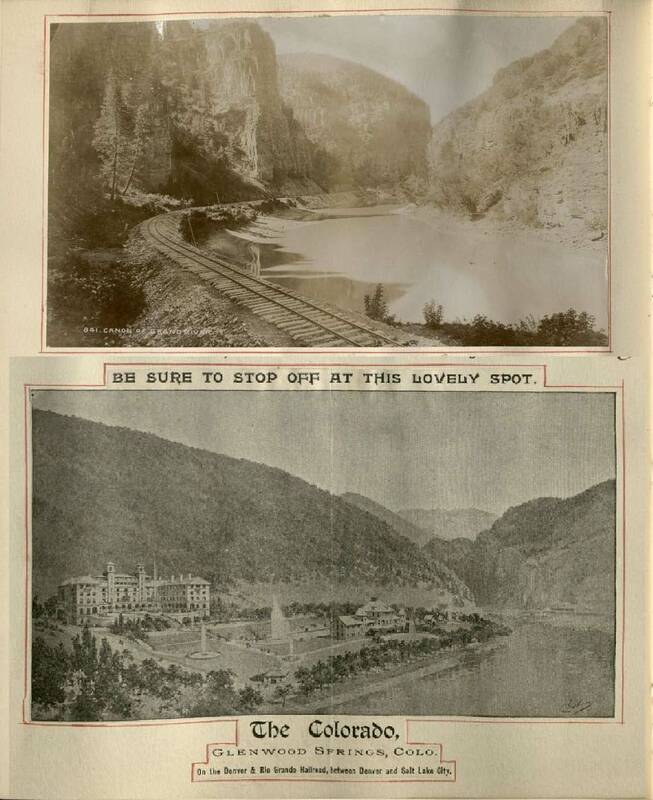 They were especially relieved and pleased by the contrast in landscape between Nevada and California. 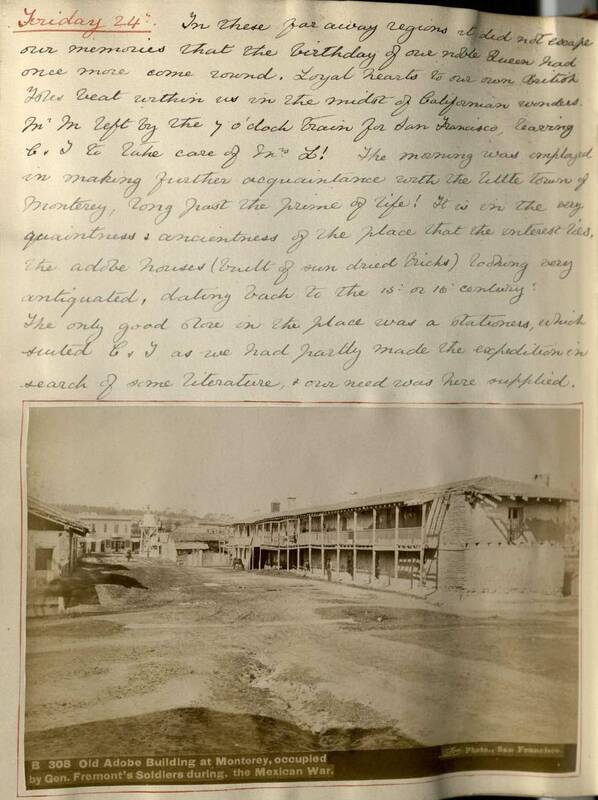 After a couple of days in San Francisco the author wrote, "This great city from the first had not made a favorable impression upon me, but it was California we had come to see and not San Francisco." 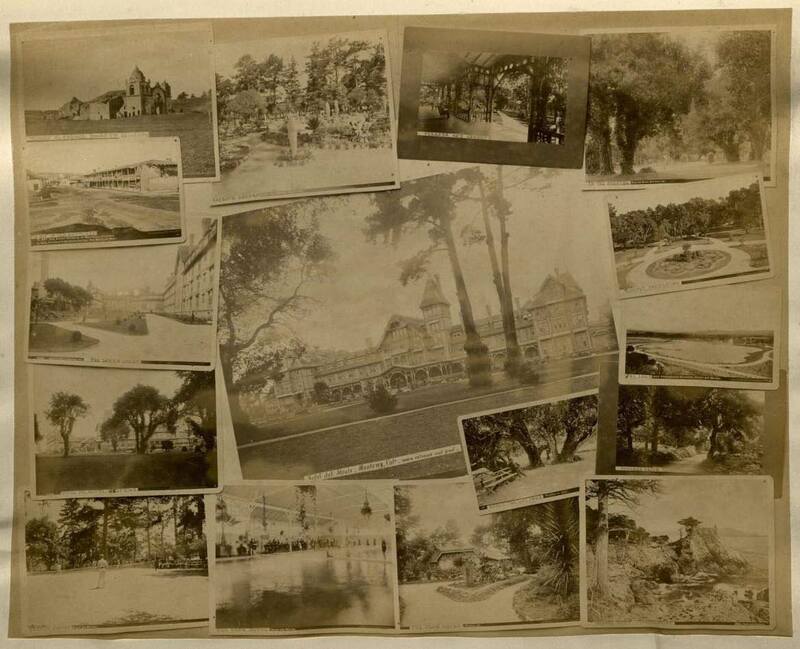 Indeed, the girls spent most of their time in areas surrounding San Francisco, including Monterey and Del Monte. 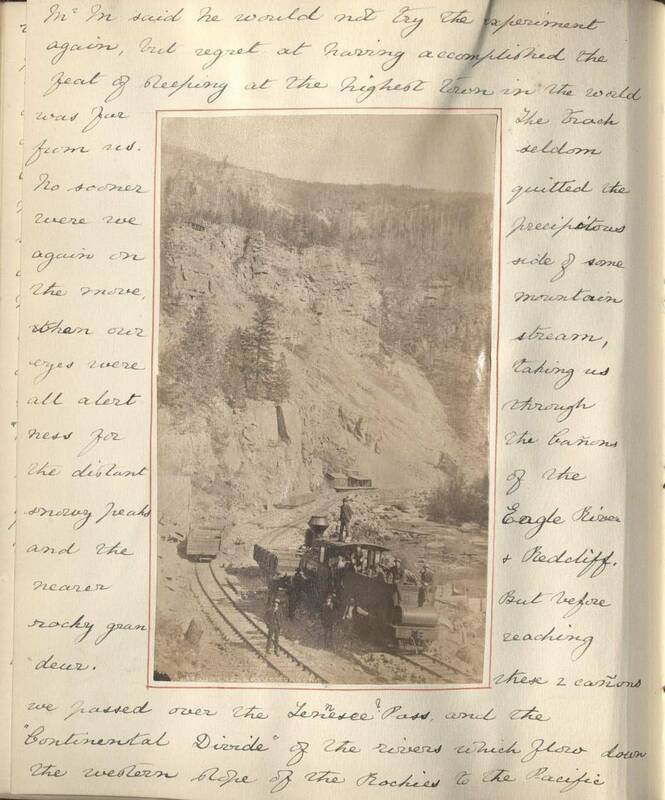 The journal concludes as the sightseeing comes to an end. Her last entry recollects conversations with some new American friends, and a long discussion comparing Dante and Shakespeare, spurred by a purchase of a copy of Dante's Inferno. It includes a description of a concert by renowned Belgian violinist Ysaye. 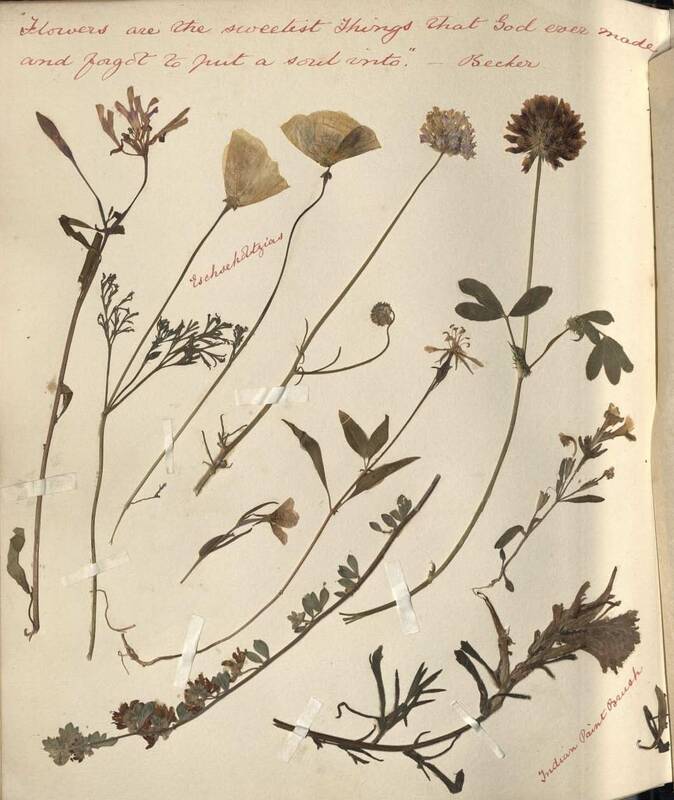 She penned a few more words about the many flowers she collected throughout the trip, dried, and and attached to the last page of her journal, along with a quote from a poem by Henry Ward Beecher.